Although all buttoned up and cozy in my Westy at a disused Forest Service campground near Leavenworth, I couldn’t get to sleep. I was anxious about the rest of trip and what it could cost me. Last year the group’s damage amounted to a snapped axle, two broken CV joints, a shredded sidewall and a couple of bent rims. What toll would the WABDR extract from us this year? I was en route from Vancouver, BC to meet up with fellow syncronauts from Oregon and Washington to tackle sections 5 and 6 of the Washington Backcountry Discovery Route in the time spanning Canada Day and Independence Day. The WABDR is a 575-mile scenic off-road route that runs across Washington State between Oregon and Canada. Although designed primarily for adventure motorcycles, the route connects a series of Forest Service and logging roads that creates a picturesque, and occasionally challenging, drive for vehicles with four wheels. The double-track roads can be muddy, dusty, rocky and sandy all in the same day. 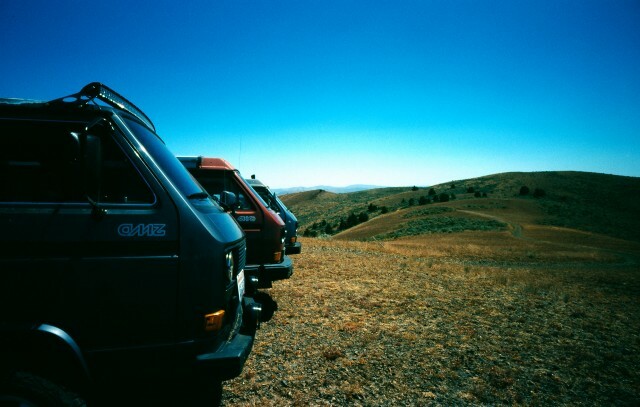 The previous year a group us in our VW Syncros covered much of Section 2 from Naches up Bethel Ridge to Nile, then over Cleman Mountain before having to exit at Wenas, due to the wildfires then active in the area. Rather than call it quits we elected to challenge the infamous Fortune Creek trail to Gallaher Head Lake, where most of the carnage ensued. The long, rocky, obstacle-strewn climb required plenty of clearance and caused a few bangs and scrapes. A broken CV on the notorious Crankshaft Hill was the last of our major problems and we earned some good karma with the extraction of a Cherokee high-centered on a rock in a mud pit. 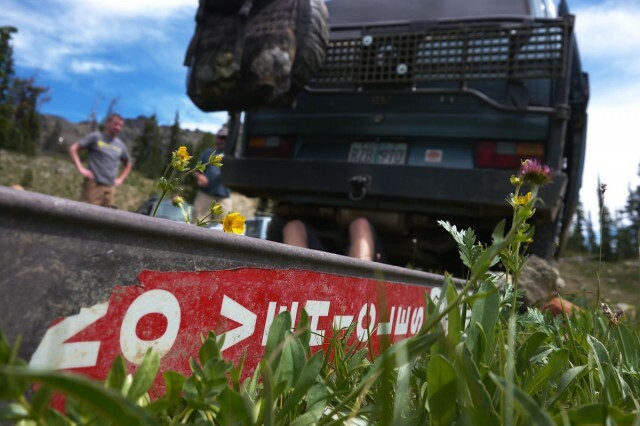 Although not part of the WABDR, memories of the Fortune Creek trail run projected a number of costly damage-inducing possibilities into my head, keeping me from a sound sleep. 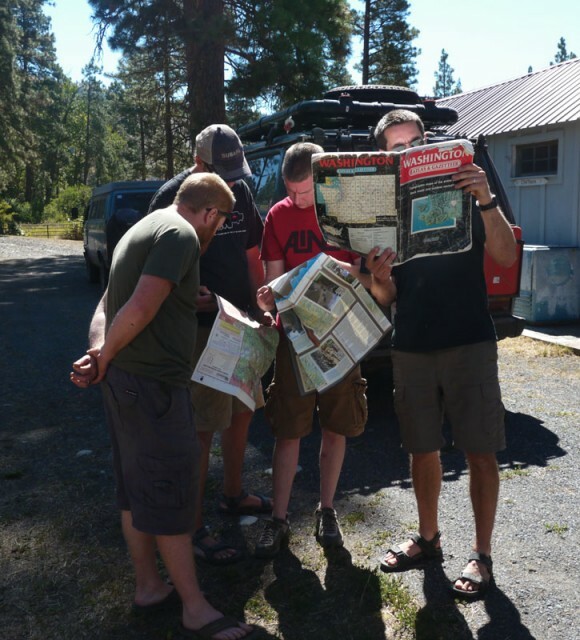 Most of last year’s group met up again near where we left off in Wenas, west of Ellensburg. 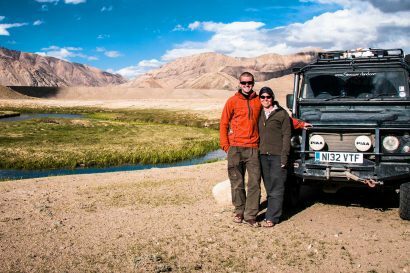 The start of the trip gave us soft, silty roads with big ruts through open country leading to a steep, rocky climb up Umtanum Ridge. A twisty descent down Old Durr Road ended with a welcome cool-off in the creek under the bridge that spans the former water crossing. The addition of the bridge was a bit of a disappointment since we were looking forward to the challenge of the water crossing, but the creek was so low we barely would have wet our tires anyway. 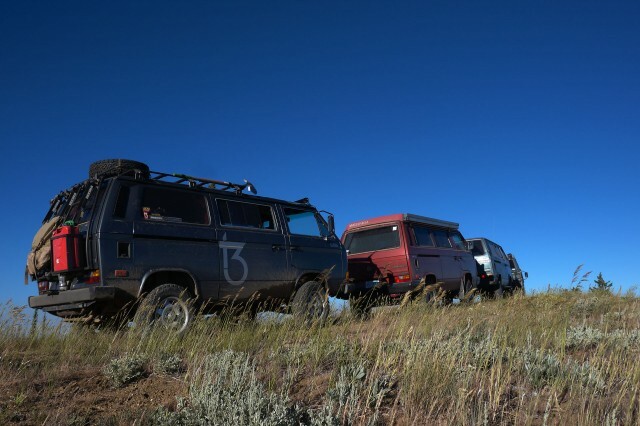 After a quick check of our Discovery Passes by the local law we headed into the 100F+ heat of Ellensburg to re-supply and pick up a fourth Syncro. Each vehicle in our caravan was completely unique, yet still maintained the classic characteristics of the Volkswagen Syncro. 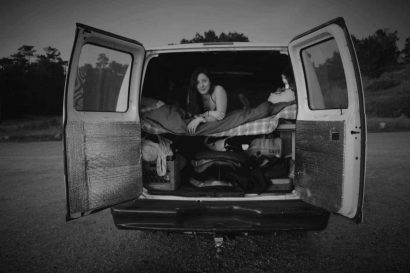 Two of the vans began life as 2WD Vanagons, one a passenger van, the other a Weekender camper with pop-top but extra seating and lounge space instead of the built-in kitchen. 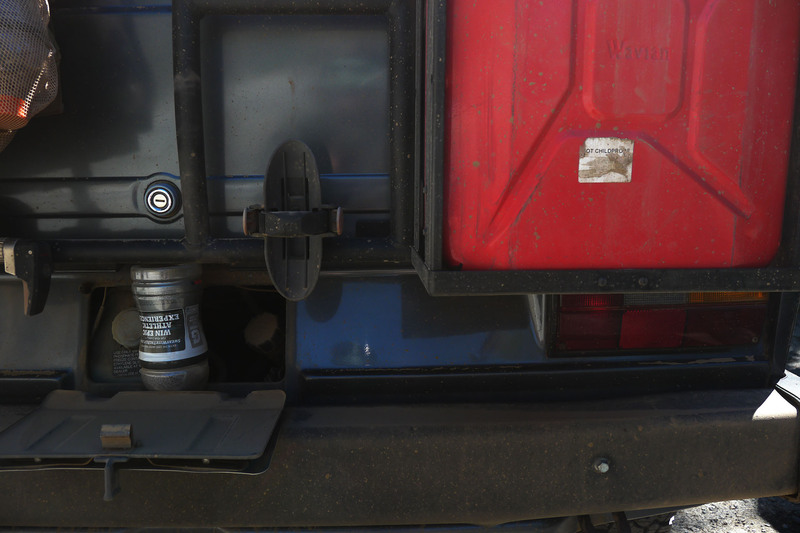 Both were converted to 4WD Syncros by their owners and fitted with more powerful and modern Subaru motors. 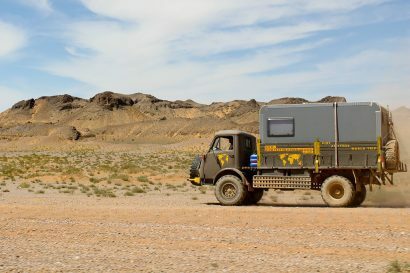 The other two vans were factory Syncros with stock 2.1L motors; one a “tin-top” passenger van with Weekender interior, the other a Westfalia camper with full kitchen facilities and pop-top. All the vans had modified suspension and BFG T/A tires. From Ellensburg we climbed the winding dirt roads through burnt out patches of Wenatchee National Forest to the panoramic views of Table Mountain and Lion Rock before stopping for the night at Ken Wilcox Horse Camp, which according to one of the guests, is A HORSE CAMP! It seemed that since we didn’t tow in horse trailers and plant big 5th Wheels at the site, we were seen as less-than-desirable neighbors. At nearly 6,000 feet it was a chilly night but the morning’s drive along Mission Ridge to Beehive reservoir warmed us up for a refreshing swim and a relaxing lunch before a super fast descent to the extreme heat of Wenatchee, where we only stayed long enough to air up our tires and stock up on ice. Central Washington gets plenty warm any given summer, but this year we were in a bona-fide heat wave. 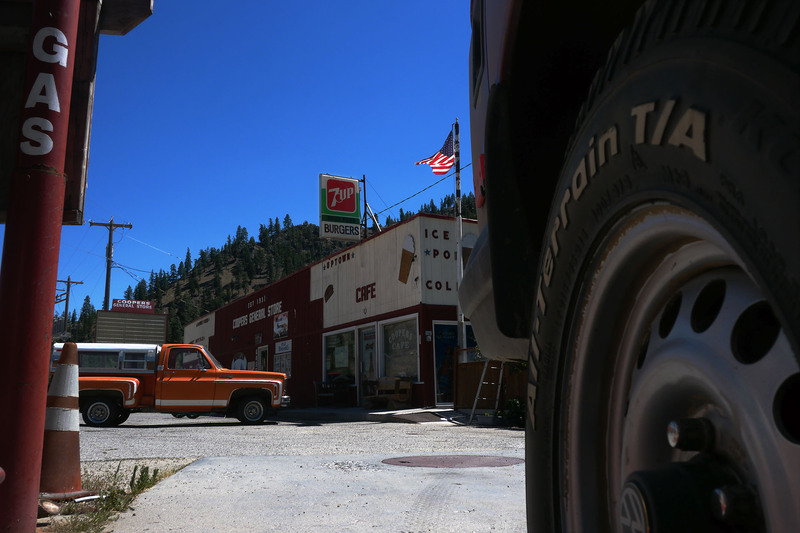 With ambient temperatures breaking 100 degrees we stopped regularly to cool down our powertrains and our bodies, using the opportunity to enjoy the views and appreciate the awesomeness of our surroundings. Back on the road, a winding, narrow, paved climb took us up to Nahahum Canyon. When the pavement ended the road got rutty, steep and full of sheep. A shepherd was camped in a small trailer perched on a narrow turnout on the cliffside, his flock congregating on the road. A few gentle horn taps sent the sheep scurrying and we continued our procession up the mountain. Finally we crested the ever-windy Roaring Ridge in sight of Chumstick Peak and found a nice campground in a tree-lined windbreak, from where we watched the sun set and the burnt-orange moon rise. 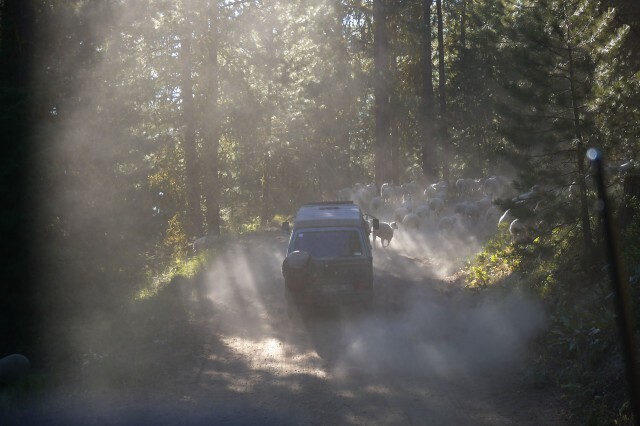 The morning of July 4 gave us a soft, flowy, dirt descent to Ardenvoir where we took a chilly dip in the Entiat River to prepare us for the tough slog up McKenzie Ridge through more wildfire desolation in the Chelan mountains. We found a flat clearing near the Devil’s Backbone trailhead where we could set up camp and have stunning views of Lake Chelan as the setting sun cast an ochre haze over the valley. From here we watched the fourth of July fireworks over the town of Manson and were visited by a hooting owl who circled above our camp late in the evening, adding a mystical touch to the last night of our trip. 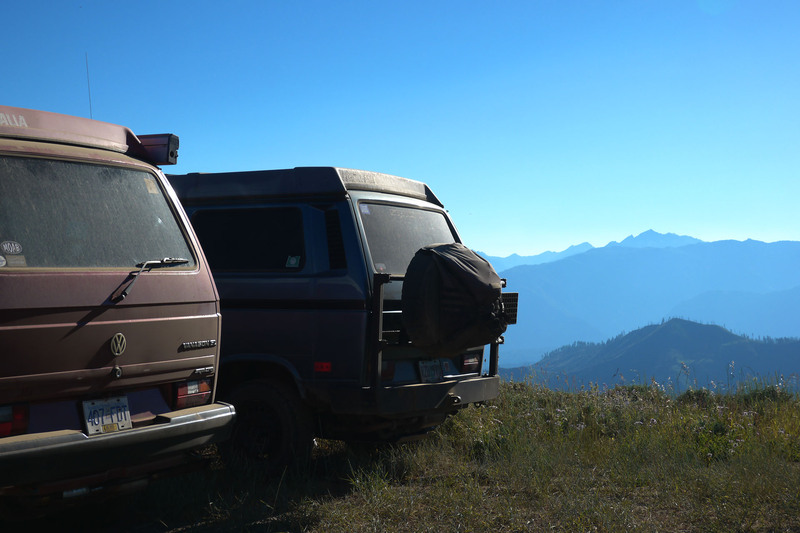 While not as technical or as hard on our vehicles as last year’s axle-snapping excursion, these sections of the WABDR gave us some amazing scenery and allowed for a relaxed pace, so we could enjoy camping in our vans as much as driving them.